At various times, I've needed to get professional financial advice or outsource financial duties. My specific needs have varied, depending on income, savings, circumstances, and time available to handle investing duties. I've learned that if I need guidance, getting it sooner rather than later is preferable. Having an established relationship can be useful while moving through various life stages, whether starting a new job, launching a business, getting married, having children, changing jobs or careers, paying for college, or enjoying retirement. Looking for help in a hurry or in the midst of a crisis is not a good time to vet a financial adviser. Other people may get along well without the benefit of regular check-ups with financial advisers. But I've found that at certain times, getting an objective viewpoint can be useful — whether it's planning and figuring taxes, deciding on an insurance policy, or managing investments. But choosing an adviser can be challenging. Rather than pursue general advice, it's been helpful to me to determine how a particular professional might assist in pursuing and attaining financial goals. To locate a person with specific experience, I've become more educated on understanding professional designations (and accompanying qualifications) and conducting basic background checks. And, I've equipped myself on recognizing the types of people and situations to avoid. Check credentials using third-party resources Start the vetting process by understanding and verifying a prospective adviser's title. Research professional designations through the Financial Industry Regulatory Authority (FINRA) website and similar resources.Remember that sales organizations (such as a bank or investment firm) may confer generic designations onto its representatives, such as financial adviser, or higher-level titles, such as senior vice president, that are not connected with a professional credential from an accrediting agency. Accept that the Securities and Exchange Commission (SEC), FINRA, and North American Securities Administrators Association (NASAA, representing state agencies) do not endorse any professional designation. Conduct an investigation of an adviser's background Verify an adviser's status with accrediting and/or regulatory organizations. Make sure, for example, that a Certified Financial Planner (CFP) is listed with the CFP Board and a broker is listed with FINRA's BrokerCheck .Then, confirm a prospective adviser hasn't violated rules or been disciplined for unethical or illegal behavior in the past. Resources for this type of investigation include CFP Board's database, SEC's Investment Adviser search tool, state agencies such as the Insurance Commissioner and Attorney General's office, and general online searches. What is your recent employment history? I may also ask about his or her general approach to delivering services and expected frequency of interactions. Make sure I feel comfortable with the adviser Though the process can take time, I should be able to find a financial professional with whom I enjoy meeting. And I certainly need to find someone who can understand my needs and concerns, and speak to me in a way that spurs action when appropriate without making me feel overly pressured.At the same time, I've stayed away from the chameleon who changes his or her behavior to match mine. I've trusted my intuition and shunned those who agree with everything I say or push “complex” solutions. Understand an adviser's strengths and limitations A financial advisory firm or individual representing the firm should be able to present a clear, concise explanation of its (or his or her) strengths, whether broad financial planning and implementation, estate and tax planning, or investment management. Accompanying this message ought to be a clarification of the limits of its expertise, if any.So far, I haven't yet happened upon a financial superstar who does everything exceedingly well. However, I may be able to find an adviser with a network so he or she can make referrals as appropriate. Learn what I've been doing right and how an adviser can guide me in the future Sure, I'm hiring a financial adviser to uncover and fix problems and/or point to opportunities that can help me improve my financial position.But a trustworthy and competent professional should be able to get a sense of how I'm succeeding and where I could use guidance. Based on my experience, a wise adviser acknowledges my efforts and accomplishments and provides insights on areas of improvement. Get straightforward proposals and recommendations At some point in our relationship, the adviser should make a recommendation that solves a financial problem or aids me in building wealth. I may be able to get a proposal prior to engaging a professional or soon after I start working together, depending on the adviser's procedures and fee structure.Either way, I should gain a clear understanding of the types of services the adviser is qualified to provide and plans to offer me. And I should feel that the adviser serves, not judges, me. Be familiar with a coherent and adhered-to investment philosophy An investment professional or portfolio manager who aims to manage my investments or give me investment advice periodically should be able to articulate his or her investment approach. Just as important, the adviser should remain true to this philosophy.One of the most valuable attributes of an investment adviser is the ability to be disciplined during market turbulence, even secondary to his or her portfolio-management philosophy. An adviser should be consistent in recommendations, not excitedly pushing growth companies after previously embracing a value approach, for example. I've encountered many advisers who don't fit my needs or expectations. It's okay to eliminate these folks from further consideration as I truly need to feel comfortable with my choice. Promises of certain performance levels or investment returns Stay away from those who promise a certain level of investment returns. That person is either very inexperienced or is being deceptive.Illustrations of returns are fine but they should be used to make a point, not predict the future. Generic adviceWhile I shouldn't expect a professional to reinvent the wheel, I also shouldn't accept a cookie-cutter plan and standard investment advice that doesn't fit my situation. Recommendations of over-priced and exclusive products Just because a product is suitable for my needs doesn't mean that it is the best one for my situation or the most cost effective. Investment returns are fickle but fees are forever so it's helpful not to overpay for services.Compare prices and fees of products recommended by a potential adviser with those on the open market. Specifically, look at proprietary brokerage funds with sales loads, retirement plans with expensive administrative fees, and high-cost annuities. Excellent service is valuable but I don't have to pay a premium for every financial product or service. And, until I'm mega-rich, I need to forget about access to “exclusive investment opportunities.” Even if these are legit, they may be so thinly traded that I'll be hard pressed to unload them, won't be able to get a premium price, or be forced to pay hefty fees to cash out. To get a better understanding of fraudulent activities, I've read FINRA's Fighting Fraud 101 brochure (PDF). This has taught me to beware of tactics such as “social consensus” in which products are validated because my friends or highly respected professionals hold these investments for example. 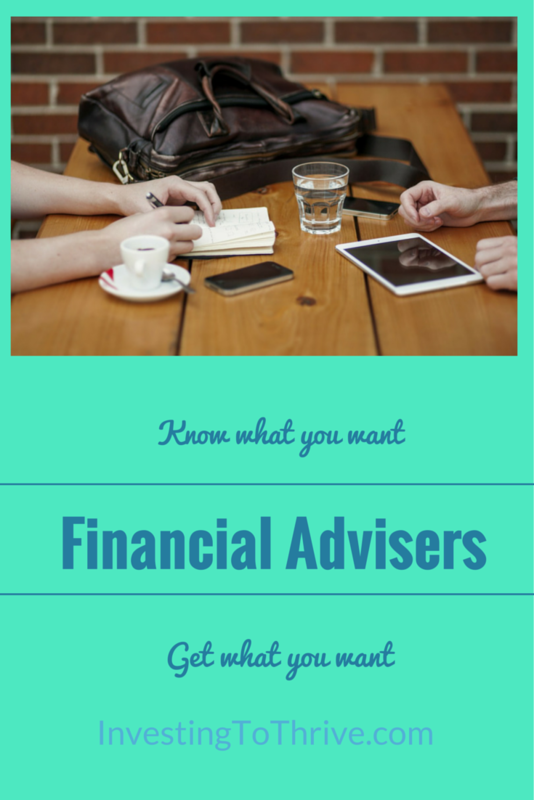 Deciding precisely what I need and choosing an adviser can be time consuming but worth the effort. When hiring a financial adviser, I shouldn't skimp on research.